Jaydeep Steels is a worldwide renowned trader, dealer, supplier, and manufacturer of Stainless Steel Buttweld Fittings. Our products are not just extensively popular inside India but also are highly demanded from overseas customers. We make it a habit to use only the best variety of stainless steel raw material for manufacturing the SS Buttweld Fittings, which are used when the working environment includes the use of high-temperature conditions like furnace and heat treatment equipment. Stainless steel is basically a steel alloy, with about 10.5-11% of chromium content. 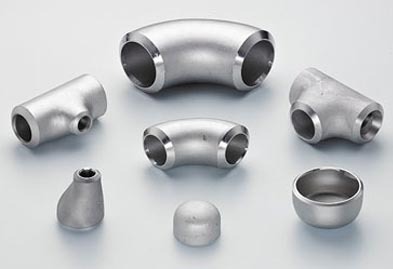 By using SS for the fabrication of the buttweld fittings, you will get numerous advantages like anti-corrosion feature, resistant to various acidic environments, better machinability and workability, and much more. At Jaydeep Steels, the SS Buttweld Pipe Fittings are manufactured from the best available grades of stainless steels like 317L, 321H, 347H, 316Ti, and 310. Each of these grades has a colossal demand in the industrial market for their numerous advantages. Our Stainless Steel 310 Buttweld Fittings are manufactured with the help of the state-of-the-art technology, expert guidance, and best quality raw materials. Hence, they are always ahead in the race of quality products available in the market. Stainless Steel Stub End, Stainless Steel Reducer Fittings, Stainless Steel End Cap, etc., are highly popular among all our national and international buyers, for the fact that they offer various distinguished properties in comparison to others. Adherence to all the quality policies and standards is a top priority for us while manufacturing our products like Stainless Steel Long Radius Elbow, Stainless Steel Tee, etc. 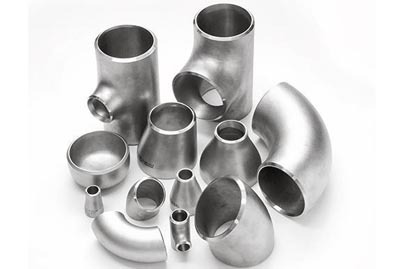 We also manufacture SS Pipe Fittings which are used in a wide range of industries for their advantages like easy maintenance and cleaning, appealing appearance, longevity, resistant to rust, and much more. To grab the product of your interest, give us a free call today itself! Jaydeep Steels stocks a wide range of materials and grades. Below are a list of all standard stainless steel buttweld fittings materials and grades we stock. Our experienced team of metal experts will get you the metal you need when you need it. Call us today for your Stainless Steel Buttweld Fittings Needs!